Valerie Biden Owens discusses the difficulties and triumphs as a woman working in politics. The secret to Former Vice President Joe Biden’s success? His kid-sister and fellow university alumni turned campaign manager — Valerie Biden Owens. Though she has not received the same attention as her older brother, Owens has held her own in an increasingly hostile political environment. “All leaders are not the captains of the team,” Owens said. 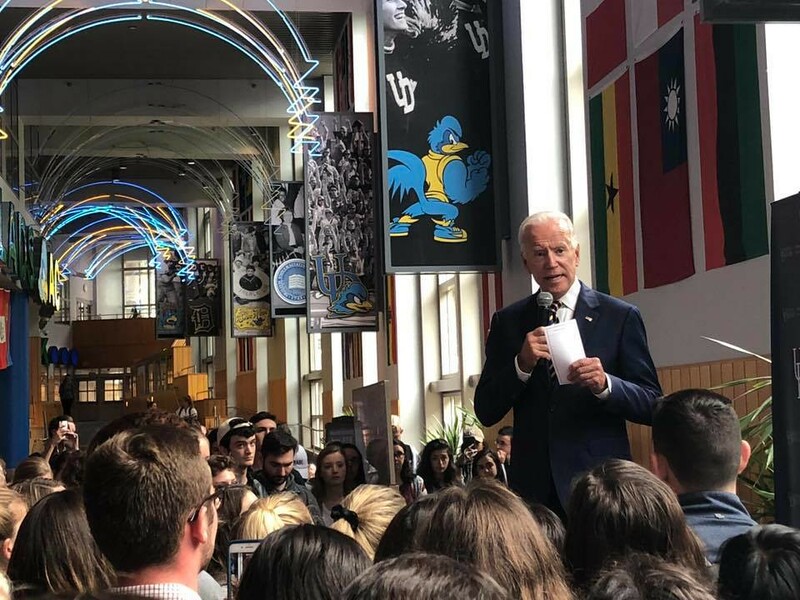 At the Biden Is Back even on April 7, the former vice president mentioned his lesser known younger sister, with whom he has shared his political career with since the beginning of his journey. On Wednesday, Owens made her own public appearance in an event hosted by the Student Government Association (SGA), to speak about her experience as a campaign manager and a woman in politics. After some awkward fumbling with Spotify, she entered the room to the tune of “American Pie” by Don McLean. As she made her way to the pulpit, she shook hands and asked for names, as any good politician would. Owens has made it clear that she did not see herself playing the political field. It was clear that the night was not meant to focus on the former vice president. At the end of his opening remarks, Perry Spiegel, SGA Chief of Staff, amidst circulating rumors about the former vice president’s ambitions to return to the White House, asked the audience to refrain from asking about the U.S. presidential election of 2020. Owens has made a name for herself as the first woman to run both a modern senate and presidential campaign. As a woman in politics, Owens described the discrimination, the doubts and the triumphs. “I was one of the first wakeup calls to the democratic establishment, that maybe a woman can do this,” she said. She did, however, acknowledge that her relationship with her brother did help in the long run. “I had a better seat at the table, because my brother was at the head,” she said. She has also volunteered her time with the Women’s International Campaign, dedicating to teaching women in “emerging democracies” how to organize, communicate and participate in politics. However by running all of her big brother’s campaigns, Owens has also contributed to making “Biden” a household name in Delaware and beyond. In her new role as vice chair of the Biden Institute, it is issues like economic injustice, civic responsibility and other issues that matter most to the former vice president, that she and the Biden Institute focus on. Owens is one of three successful campaign managers who attended the university, including David Plouffe and Steve Schmidt, who ran former President Barack Obama and Senator John McCain’s 2008 presidential campaigns, respectively. Unlike her male counterparts though, Owens graduated from the university with a degree. After a short history lesson, Owens explained her choice of entrance music. “American Pie” was released the same year that she helped her big brother clinch an unlikely senate win, 1972. From coffees with housewives, to handwritten notes and hand-painted signs, Owens claims that she and her brother invented the “authentic” campaign, which beat incumbent J. Caleb Boggs and rose Biden to fame. Owens attributed this “old fashioned campaigning” to democratic party victories in Virginia during this past Tuesday’s midterm election. Cathy McLaughlin, Executive Director of the Biden Institute, believes that Owens is giving students new opportunities by telling her own story. 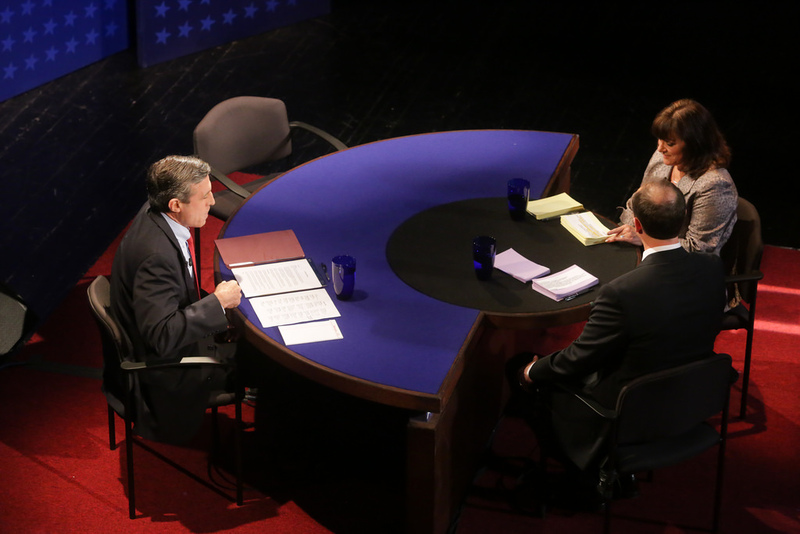 This event will showcase not only the partisan divides between candidates but also the tradition of Delaware bipartisanship. The Biden Institute event at which Joe Biden appeared, encouraged students to register to vote. 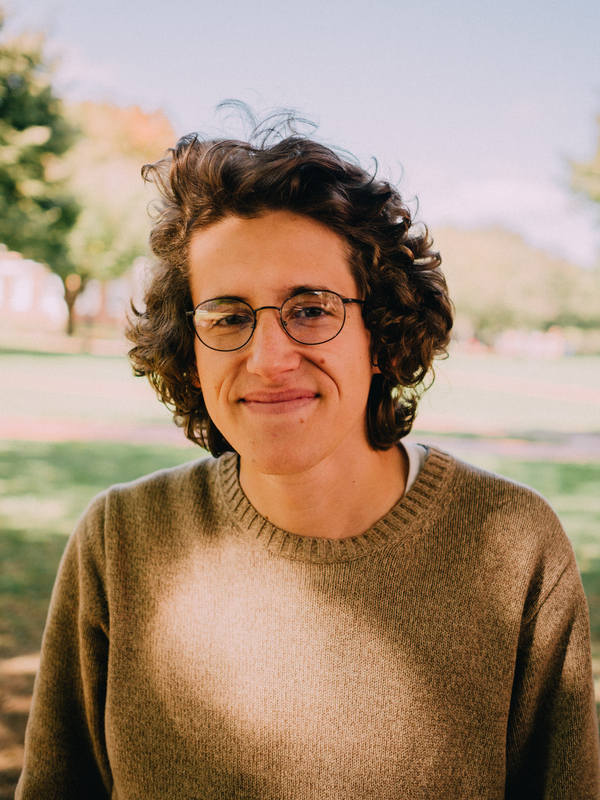 Editor in Chief Caleb Owens digs into the the Biden Institute's push for college voter registration.